Ford - FREE Brake Inspection! Ford - FREE Check Engine Light! At George’s Sierra Shell, we know you want to take your Ford to someone who knows your vehicle. We strive to be Fontana’s best dealership alternative for Ford repair and maintenance services. We employ ASE Certified and ASE Master Technicians who are trained in all makes and models, including your Ford. We also offer a 24 month, 24,000 mile nationwide warranty on our repairs. 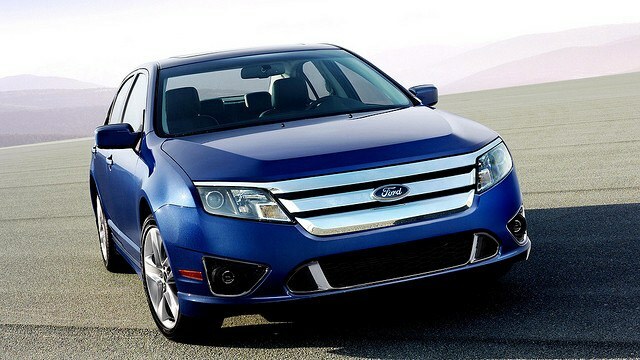 We know how valuable your time is, so we do our very best to be sure your Ford is taken care of in a timely fashion. It's our commitment to quality and customer satisfaction that keeps our customers coming back time after time. Call us or click HERE to schedule an appointment for your Ford service.